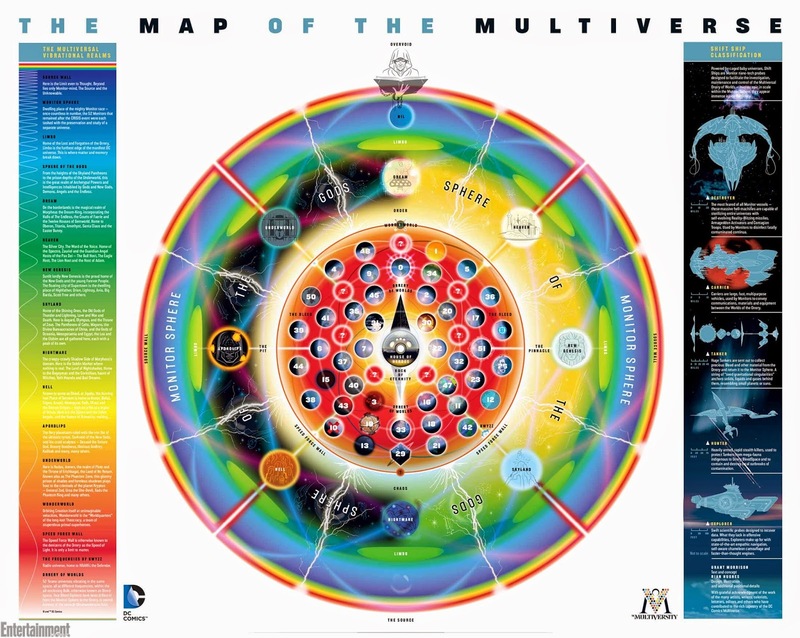 With the first issue of Multiversity hitting shelves in a mere week after years of teases by Grant Morrison, we figured this is a perfect time to analyze the map that was shown back at Comic Con. We go over how it puts all of the DC Universe together into a cohesive structure, give our break down of all 52 Earths, and provide a few theories as to what some of the many mysteries mean! A big thank you goes out to Designer-extraordinaire Rian Hughes for making this entire map a reality and turning Morrison's concept into something tangible that we can pour over for days and days. The first thing to note is the overall structure of Morrison’s view of the DC Universe. In the center is the Hall of Heroes (which will presumably be introduced in Multiversity #1) and the Rock of Ages, the source of magic in the DCU and home of the wizard Shazam. Surrounding these central structures is the Orrery of Worlds, the complex structure of Earths that we’ve seen in Final Crisis, where the Earths sit in the Bleed in perfect harmony. One of the most interesting bits here is the inclusion and explanation of the Speed Force: it is the border between the Orrery and the Sphere of the Gods. It is defined as the speed of light, a limit only to matter in the Orrery, and it seems to be powered by lightning that is striking from the Overvoid/Source. Skyland/Underworld: Skyland is the home of mythological Gods (Greek, Norse, etc.) and, interestingly, Underworld is a stand-in for the Phantom Zone. Most of these have beams shooting into the orrery that have ties to the worlds they hit (more on that later), as well as red Bleed drains that lead out to the Source Wall. In the Sphere of the gods there are essentially four quadrants: Order (top), Chaos (bottom), The Pit (left), and The Pinnacle (right). These are very similar to the systems used in lots of role playing games, where players and characters fall somewhere along the continuum between these (with the Pit and Pinnacle specifically representing Evil and Good respectively). The Earths in the Orrery follow that rule; for example, Earth 0 (the main DC Earth) is smack in the middle between good and evil (Pit vs. Pinnacle) but is more on the order side than chaos, whereas Bizarro Earth is the closest to chaos. All 52 Earths are placed carefully in a way that matches their general morality and where they fall between Order and Chaos. 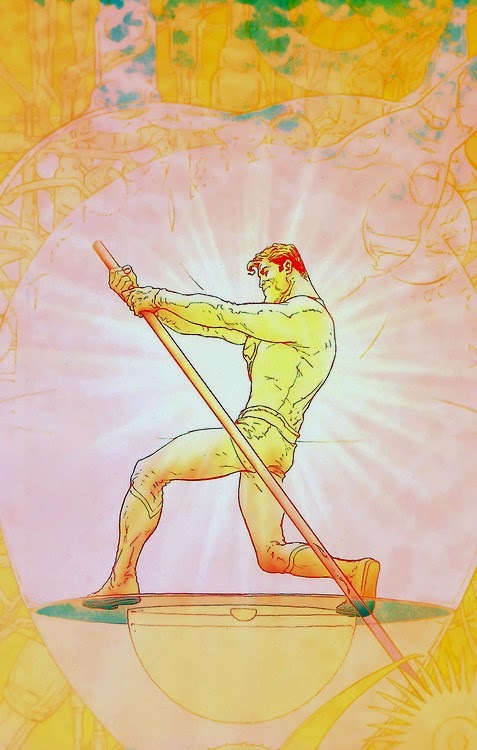 Moving farther outwards, each Godsphere has it’s own section of limbo outside of it, where all the forgotten characters end up (as seen in Final Crisis: Superman Beyond). Surrounding it all is the Monitor Sphere, home of the beings that observe the universe that feature prominently in Crisis on Infinite Earths and Final Crisis, Nil being their homeworld that orbits the Sphere of the Gods. Finally, the Source Wall is the outer limit of the Multiverse, the border between all of reality and the Overvoid or the Source, and is where Gods go to die. Outside of this is only Destiny of the Endless, who acts as almost the ultimate God who oversees all. The Overvoid can also be seen as a stand in for the blank page. There’s lots more to glean and discuss here–especially if you’re a big Morrison fan–but those are the basics. Now onto the fun part...what are all these Earths? Keep in mind, our data comes from a Pre-New 52 understanding of the Multiverse. Much of this info could be tossed already, which we'll know for sure when Morrison's Multiversity Guide is released towards the end of this year/beginning of next. Until then, let's dig into the possibilities! We've provided links, where available, if you're interested in picking up any of the titles these Earths originate in. Earth 0 - New 52 Main Earth (Opposite: Earth 33) – The main Earth where all the happenings of the New 52 occur. Such as in Grant Morrison's Action Comics run. 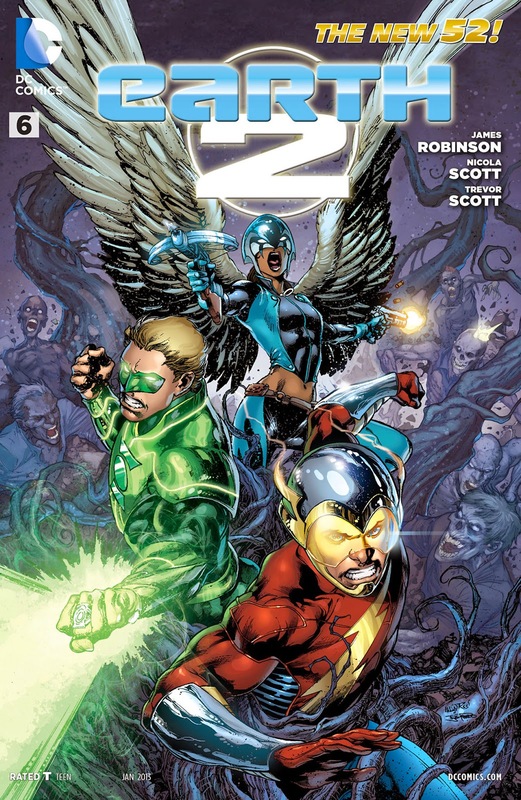 Earth 1 - Earth One (Opposite: Earth 13) – Not where the sporadic series of Earth One graphic novels take place, according to Dan DiDio. Given it's sun-like look, could it potentially be the world of All-Star Superman? Morrison's well-loved Superman tale does seem like the perfect antithesis of the darker Vertigo Earth. 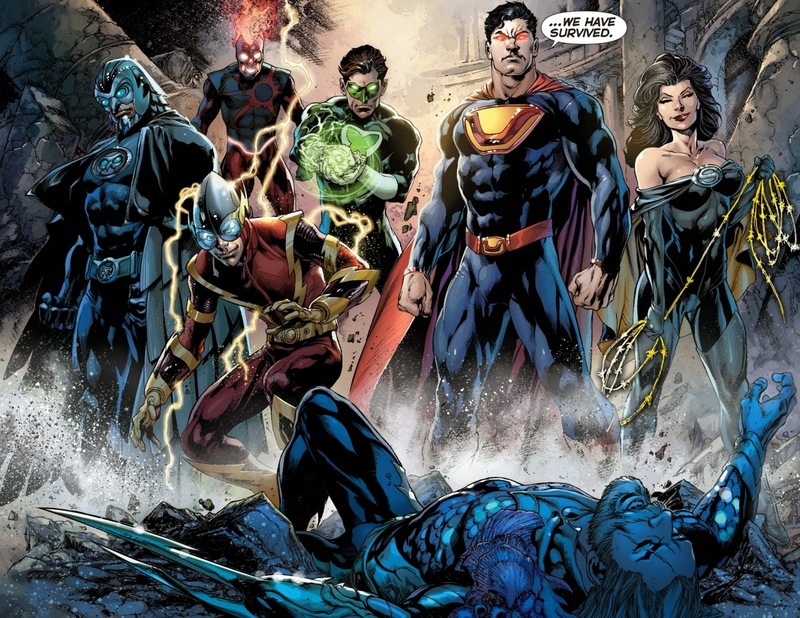 Earth 3 - Crime Syndicate (Opposite: Earth 2) – Where the evil counterparts Ultraman, Superwoman, Owlman, etc. come from. 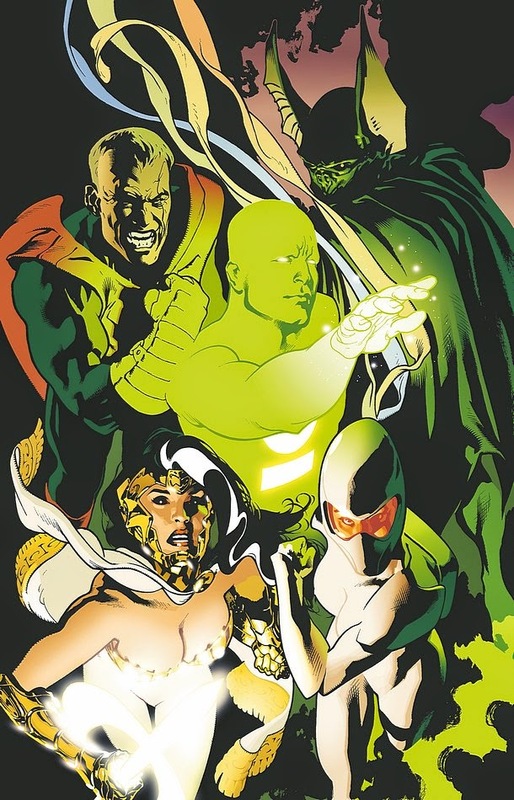 The main villains in the recent Forever Evil event, with Superwoman still showing up in the most recent issue of Justice League. Earth 4 - Charlton Comics (Opposite: Earth 42) – Originally the home of the Charlton characters (the Question, Captain Atom, etc.) that essentially became Watchmen. Where the Pax Americana issues of Multiversity will take place. 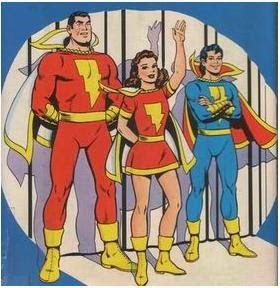 Earth 5 - Thunderworld (Opposite: Earth 10) – Where Shazam (or as he may still be referred to on this Earth, Captain Marvel) is the "Superman" of this world. This Captain Marvel was last seen in Final Crisis: Superman Beyond. Interesting to note that this is in a similar location to 4, but is touched by Heaven instead of Hell, perhaps giving it its innocent nature. Earth 6 - Just Imagine Stan Lee Creates the DC Universe (Opposite: Earth 51) – Where the bizarre series of comics featuring DC characters being re-imagined by Stan Lee occurs. The closest Earth to Apokolips, and opposite of essentially the Jack Kirby Earth. Earth 7 - Unknown Elseworlds Earth? (Opposite: Earth 22) – One of the key mysteries of the map. Pre-New 52 this was home to older versions of Stargirl and Jakeem Thunder, but this version is in the same orbit with the most well-known Elseworlds stories. Could this be the home of The Nail or The Liberty Files, or potentially a new place for The New Frontier rather than Earth 21. 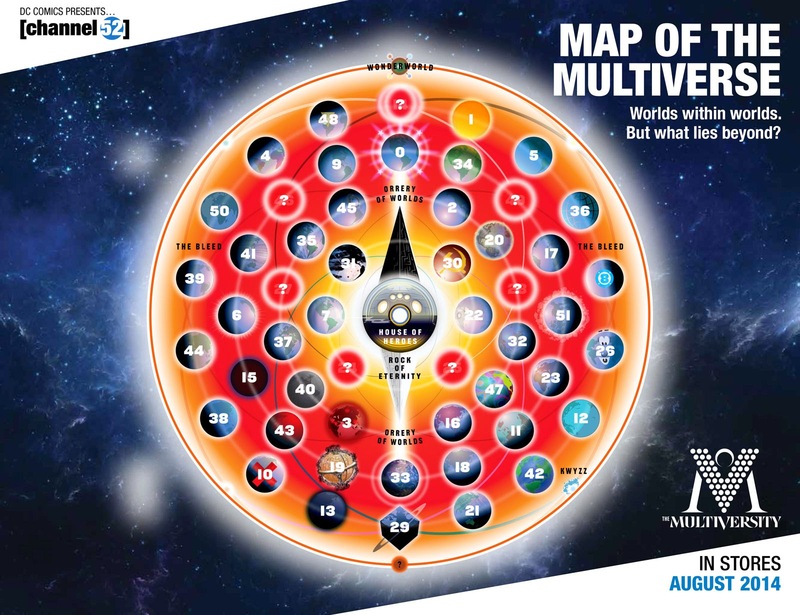 Update: This Earth has appeared in the above preview image for The Multiversity's first issue. Is this an Earth that's been ravaged by Solaris, The Tyrant Sun? Multiversity #1 Update: After reading the first issue, it's made apparent that this is a streamlined aesthetically, more culturally diverse version of Earth 8. Thus, it's easy to jump to the conclusion that this is, in effect, the "Ultimate" iteration of that world ala The Avengers and The Ultimates. 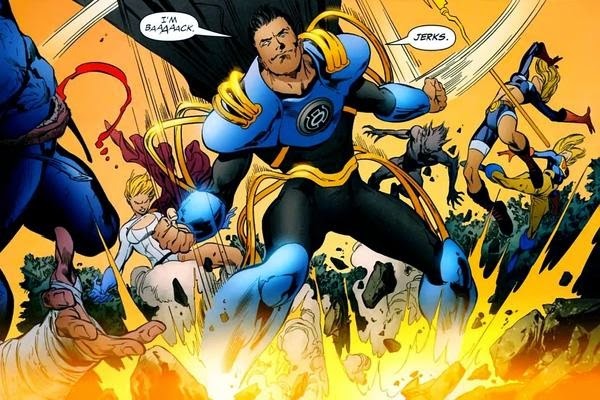 Earth 8 - Rampaging Retaliators (Opposite: Earth 44) – Home of pastiches of Marvel characters. (get it? Retaliators/Avengers!) They have also been known as the Champions of Angor. Kind of interesting given the Justice League analogues in current New Avengers comics. 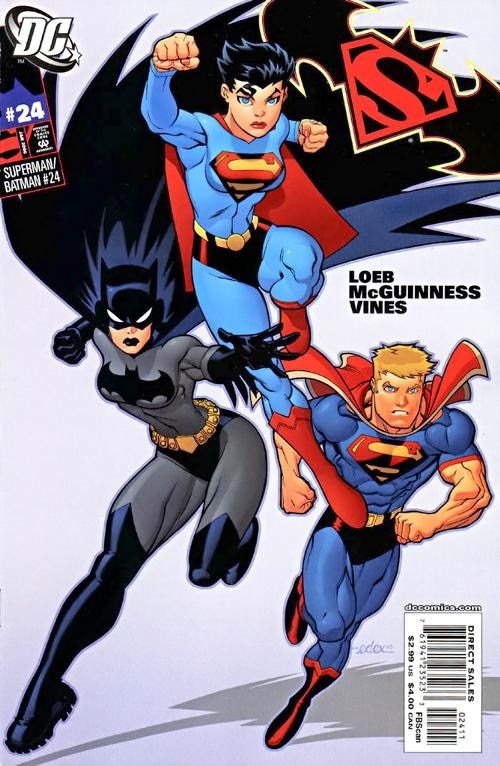 Earth 9 - Tangent Comics (Opposite: Earth 18) – AKA the Jurgens-verse, supposedly an Earth more directly affected by the existence of superheroes than Earth 0. Last seen in Justice League of America #50. 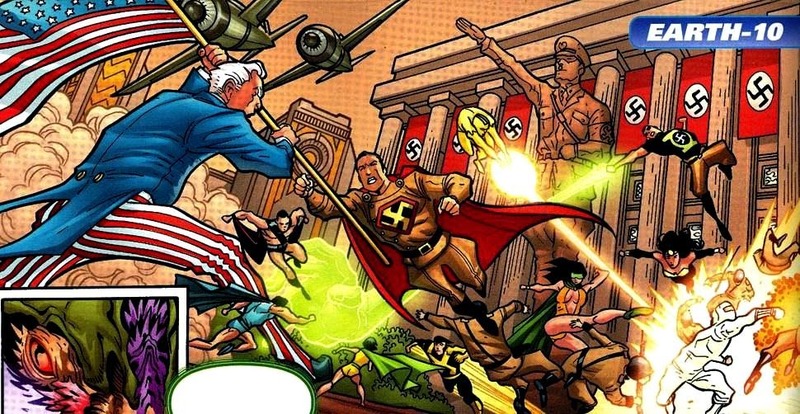 Earth 10 - The Master Men (Opposite: Earth 5) – Where the Nazis won WWII and are fought by Uncle Sam and the Freedom Fighters. Where the sixth Multiversity story will take place with the Nazi New Reichsman in 1956. Earth 11 - Matriarchal Earth (Opposite: Earth 46) – Home of gender swapped heroes such as Superwoman, Batwoman, and Wonderman. Worth noting that it is touched by Skyland where the Greek Gods live, so there’s a connection to Wonder Woman there. 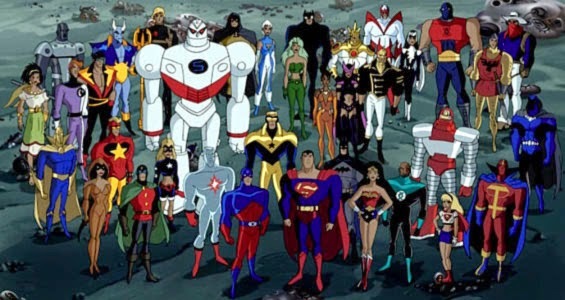 Earth 12 - DC Animated Universe (Opposite: Earth 50) – Home of Batman: The Animated Series, Batman Beyond, Superman: The Animated Series, and Justice League/Justice League Unlimited. 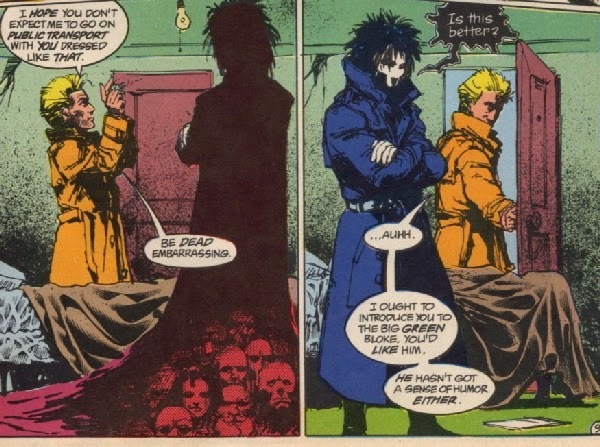 Earth 13 - Vertigo (Opposite: Earth 1) – This dark Earth has historically been home to Constantine, Sandman, and other Vertigo properties. Most of these characters merged with Earth 0 at the end of Flashpoint (along with the Wildstorm Earth) but seems to still exist here. Notably dark and moon-like as opposed to it’s sun-esque opposite in Earth 1. Earth 14 - Seven Unknown Earths (Opposite: Earth 29) – In old DC continuity, this was home of the New Gods, but now it is one of the universes left by Morrison for other writers to explore. This would be the most orderly universe, the exact opposite of Bizarro World. Earth 15 - Destroyed Utopian World (Opposite: Earth 17) – Post 52 this was a utopian world where superheroes had solved all the world’s problems, but was then destroyed by Superboy Prime and is now a desolate world with no life. Last seen in Countdown. Earth 16 - Earth-Me (Opposite: Earth 45) – Home of The Just, the ultra self-absorbed celebrity children of the Justice League, and focus of the third issue of Multiversity. Earth 17 - Atomic Knights/Monkey Earth (Opposite: Earth 15) – A primarily simian Earth that also features the Atomic Knights. Last seen at the end of 52. 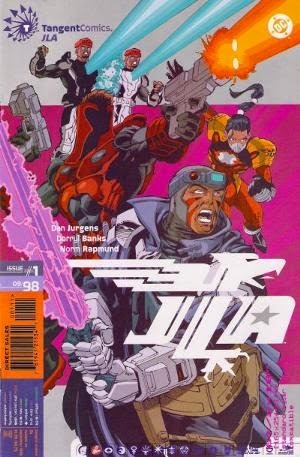 Earth 18 - Justice Riders (Opposite: Earth 9) – Where the Justice League are all cowboys in the wild west, from the Justice Riders one-shot. Mentioned in the solicit for Multiversity, but which issue is not known. Earth 19 - Gotham by Gaslight (Opposite: Earth 34) – This distinct looking Earth is a Victorian era universe where the famed Gotham by Gaslight graphic novel takes place. 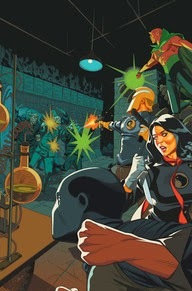 Earth 20 - Society of Superheroes (Opposite: Earth 40) – The focus of the second issue of Multiversity, where DC’s heroes come in the pulp variety, featuring Doc Fate (Doc Savage + Doctor Fate). They’ll be fighting their evil counterparts from Earth 40. Society of Superheroes #1 Update: It turns out they are reading the same Ultra Comics issue that appears on Earth 33. This will prove important as we go along. 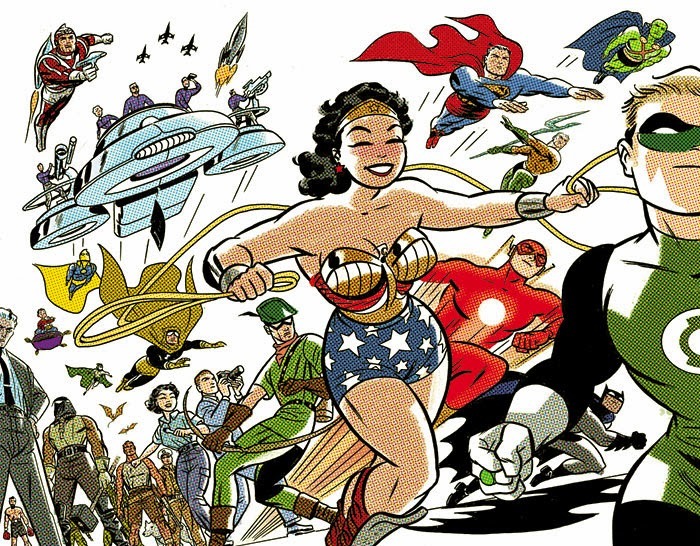 Earth 21 - New Frontier (Opposite: Earth 48) – Where Darwyn Cooke’s The New Frontier takes place. Space age and stylish, and led in many ways by Green Lantern Hal Jordan. Earth 22 - Kingdom Come (Opposite: Earth 7) – One of the key Elseworlds tales falls on this inner orbit (more on that later), where traditional superheroes and the brash next generation clash. Earth 23 - President Superman (Opposite: Earth 41) – Home of black versions of the Justice League, where Superman is the president, presumably the same guy that was in the beginning of Final Crisis: Superman Beyond #1. This is where Multiversity #1 starts, as President Superman discovers a threat to the multiverse. Earth 24 - Seven Unknown Earths (Opposite: Earth 30) – It’s unknown and will not be covered by Morrison in Multiversity, but this Earth is connected to Hell and may be an Elseworlds story according to our theory below. Earth 25 - Seven Unknown Earths (Opposite: Earth 31) – Another left for another writer, but this Earth is connected to Skyland and may be also be an Elseworlds story. Earth 26 - Captain Carrot - (Opposite: Earth 39) This planet represents the cartoonish world of Captain Carrot and theAmazing Zoo-Crew. Last officially seen in Final Crisis in the Captain Carrot and the Final Ark one-shot, though he made a New 52 appearance as Captain K-Rot in Keith Giffen's cancelled Threshold series. Earth 29 - Bizarro World (Opposite: Earth 14) the most chaotic of the 52 Earths, this is a world where every superhero is a Bizarro character. Last seen in Geoff Johns and Eric Powell's Escape fromBizarro World story-arc in Action Comics and the Bizarro World limited series. Earth 30 - Red Son (Opposite: Earth 24) – A world where Superman where discovered by Soviet migrants and raised as the ultimate hero for the USSR. Created in the Superman: Red Son mini-series. Earth 31- The Dark Knight (Opposite: Earth 25) This is the go-to world for Frank Miller's Dark Knight stories (Batman Year One, The Dark Knight Returns, All Star Batman & Robin, The Dark Knight Strikes Again, and a few tangential tales). Earth 32 - In Darkest Knight (Opposite: Earth 27) A world where Bruce Wayne becomes a member of the Green Lantern Corps instead of Batman. Created in Batman: In Darkest Knight by Mike W. Barr and Jerry Bingham. Earth 33 - Earth Prime, aka our Earth. (Opposite: Earth 0) Where Superboy Prime is being held powerless and/or the home of the Superman that appears in Superman: Secret Identity. Earth 34 – Amazonia (Opposite: Earth 19) Originally this earth was reserved for the storyline Wonder Woman: Amazonia. Given the Victorian setting and its mirror opposite, this may still be the case. Earth 35 – (Opposite: Earth 47) Currently unreferenced in previous continuity, but given its neon-colored counterpart, perhaps it's a straight-laced, semi-conservative type earth. Earth 36 – (Opposite: Earth 38) Currently unreferenced in previous continuity, but there's an odd sort of Pan-Am/Captain Planet logo quality to this Earth's appearance. Morrison has stated this is the home of Red Racer, a gay man who has the powers of The Flash. Multiversity #1 Update: Red Racer's partner appears to be the Green Lantern of this world. Earth 38 – (Opposite: Earth 36) This was once the home of a version of Captain Atom as the leader of the Atomic Knights. That previous status is currently up in the air. Earth 39 – Wally Wood (Opposite: Earth 26) Morrison has stated in interviews that this is the world dedicated to the work of Wally Wood and no superheroes exist. Earth 40 – Society of Supervillains (Opposite: Earth 20) This is the dark mirror of the pulp world seen on Earth 20, of which this earth, whose villainous team is led by Vandal Savage, is locked in constant battle with. Society of Superheroes #1 Update: It turns out they are reading the same Ultra Comics issue that appears on Earth 33. This will prove important as we go along. Earth 41 – Psuedo-Image (Opposite: Earth 32) Currently unreferenced in previous continuity. Multiversity #1 Update: Earth 41 is the home of Dino-Cop and Spore. Dino-Cop is a pastiche of Erik Larsen's Savage Dragon, and it's likely that a character identified as "Spore" is probably the DC version of Todd McFarlane's Spawn. Earth 44 looks to be similar to a mid-90s version of Image comics. 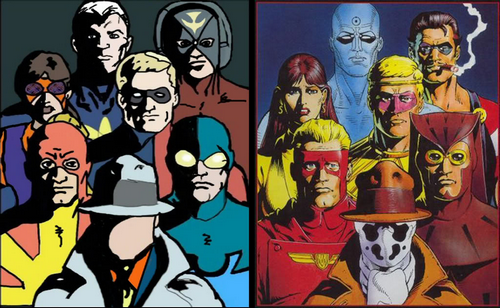 Earth 42 – Chibi-Earth (Opposite: Earth 4) Also unreferenced anywhere at the current time, but what exactly would be the opposite of a Watchmen influenced world? Perhaps the world of the Supreme analogue seen in Final Crisis? Or the World of Top Ten (currently owned by DC)? Multiversity #1 Update: This is the Chibi-Earth with child-like versions of the Justice League. Earth 43 – Vampires!! (Opposite: Earth 49) Home of the Vampire League, first created in the seminal Batman/Dracula: Red Rain. Earth 44 – (Opposite: Earth 8) This was originally the home of Doc Tornado and his Metal Men (a robotic JLA), and may still be the case. Earth 45 – Corporate Earth (Opposite: Earth 16) First seen in Morrison's run of Action Comics, this is the world of corporate super-heroes, including SuperDoom. 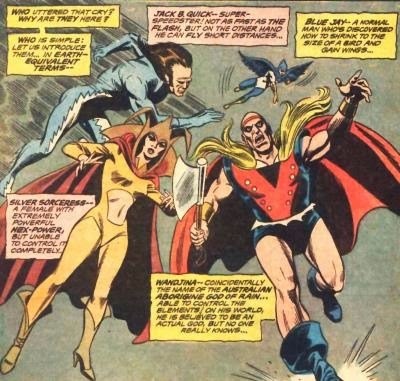 Earth 47 – Sunshine Superman (Opposite: Earth 35) The aforementioned Neon-colored planet, perhaps Sunshine Superman, a character that appeared in Morrison's run on Animal Man, has his own world? Earth 49 (Opposite: Earth 43) Seven Unknown Earths, but what stands opposite to a Vampire Earth? An Earth of Angels? Earth 50 – Wildstorm (Opposite: Earth 12) This is the Wildstorm Earth, particularly notable for series like Warren Ellis' The Authority and Planetary, and Ed Brubaker's Sleeper. Each realm within the Sphere of the Gods, other than Dream and Nightmare, is transmitting energy either to or from particular Earths. For example, Heaven's “energy beam”, for lack of a better term, travels through Earth 5, the unknown Earth 48, Earth 20 and Earth 30. Each of these planets (the ones we can identify) represents a sort-of Golden Age take on the Superhero. This is particularly amplified in the fact that Superman represents Zeus in Morrison's conception of the JLA as Greek Gods, with the most direct shot being aimed at the world of “Red Son” Superman. Comparatively, The Underworld is typically associated with the Greek God of Death, Hades. 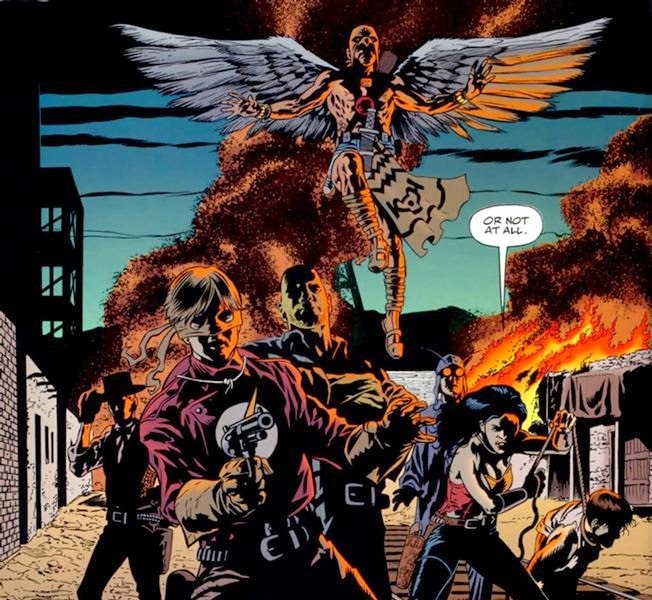 That particular realm fires through the Watchmen inspired Earth 4, Earth 46, Earth 35, and most directly Earth 31, and again with Batman representing Hades in the JLA pantheon. Skyland, the home of the Greek pantheon among other ancient belief systems, fires through Earths 42, 11 (the gender-swapped Earth), 47, and 25. Though only Earth 11 is officially identified, these Earths all seemingly represent a sort of “naturalist” approach. Even Earth 11 could be a nod toward Gaia, the female personification of the Earth in Greek mythology. Wonder Woman as Hera is clearly the touchstone here. Lastly there is Hell, a place of corruption and wickedness, whose gaze falls on Earths 10 (where the Nazis rule the planet), 43 (Vampire world), 40 (the evil counterparts of Earth 20), and the unknown Earth 24. There's a loose relationship between each of the planets on the individual orbital rings, which makes sense given the conceit that what happens on say Earth 5 might be fictional, and the subject of a comic book, on Earth 10 in Morrison's Multiversity concept. The center ring is of particular interest though, as it seems to focus on the most popular Elseworld stories: The Dark Knight Returns (Earth 31), Red Son (Earth 30), and Earth 22 (Kingdom Come) provided that the pre-New 52 listing still holds. The question is then, what is Earth 7? It was once identified as the world of Starwoman, but that's very unlikely here. 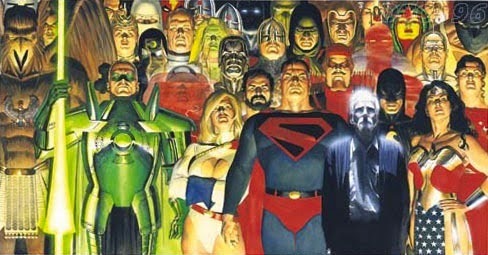 Is there a slightly darker Elseworlds counterpart to Kingdom Come (as KC is aligned to New Genesis and Earth 7 is nearer to Apokolips)? 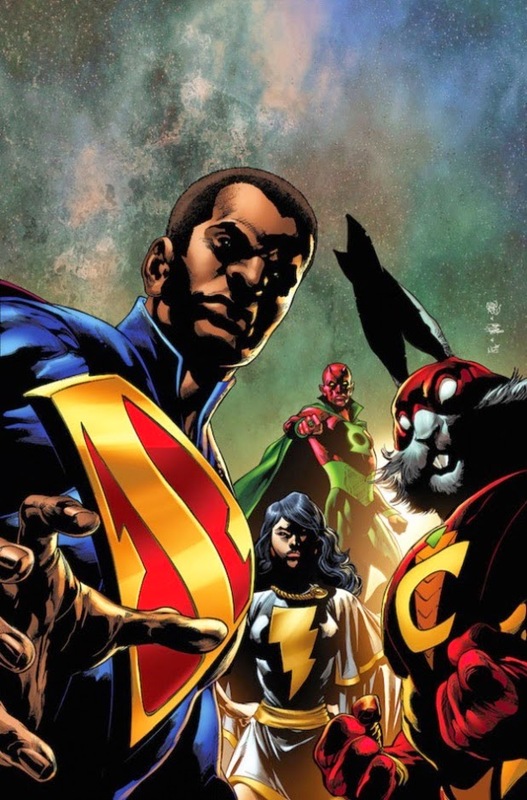 Multiversity #1 Update: As above, if Earth 7 is the DC version of the Ultimate-line, than this theory can still hold, as what Elseworld is truly more popular than Marvel's Ultimate titles? Other than the white Orbital lines that connect the four rings of planetary groupings, there are also a set of lines that seem to extend from out of the Speed Force itself? For example, there is a line connecting Earths 29, 43, 37 and 31 before it ends at the Rock of Eternity and the House of Heroes in the center. The Seven Unknown Earths are connected in a similar way. Are these possibly speed force travel-ways? Perhaps if a speedster sought to venture from Earth 43 to Earth 31, he or she would need to go through the Chaykin Batman world first? This could also just be a design choice, but in Morrison projects, little usually goes to waste. Why is that Earth different than the other Unknown Earths? 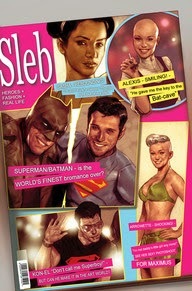 What could be the orderly counterpart of Bizarro World? What do you think? Are our theories totally bogus, or are we onto something here? Some of our questions will hopefully be answered, as Multiversity #1 will arrive in stores on August 20th!